On Sunday October 14th, Sport Cardiff was involved once again with the Cardiff Half Marathon providing more than 30 volunteers to support the event. Despite the 6.30am start the willing team of volunteers gave their time and energy to help ensure that the biggest Cardiff Half Marathon ever went well and was a tremendous success! The road race which has become the biggest and most popular in Wales is a top autumn fixture on the running calendar as well as a highlight in the city’s events agenda. With a splendid sunny day and a flat, enjoyable and attractive route; the race encompassed some of Cardiff’s most iconic locations. The event had a central start, right in front of CardiffCastle where the runners were split by times. The race was officially started by former world record holder and world champion hurdler Colin Jackson, and the wave of runners’ headed off towards to Cardiff City Stadium, the picturesque Penarth Marina and the scenic Cardiff Barrage. The course continued through CardiffBay, passing the Doctor Who Experience and the NorwegianChurch. The new course then took in the beautiful RoathParkLake before runners headed back to the heart of the city for a big finish at the impressive City Hall. The circuit offered plenty of good vantage points for fans to roar on their loved ones and become a part of the big event. In fact, the whole route was lined by people. In its 10th anniversary the race gathered a record number of runners and in just ten years the figures have rapidly increased passing from just under 1,500 runners in 2003 to 18,000 ten years later giving this competition a great vibe and making it a fun way to practice sport with friends, family or just for a personal achievement. For a lot of people this was a great occasion to encourage the whole family to participate in a race no matter their fitness level. The Barnardo’s Cardiff Family Fun Run was the perfect opportunity for some of them to get fit and healthy and follow in the footsteps of the half marathon runners. From marshalling the fun run course to handing out water as well as providing medals, refreshments and goodie bags to more than 18,000 participants in the post race area, the keen volunteers were a huge help in order to assist and manage the crowds at the finish line. The volunteers who all signed up through the Sport Cardiff VSB website all really enjoyed the experience and stated that they would be willing to help out with future events. Without them providing their time, these initiatives would be much worse off, and Sport Cardiff would like to thank all people involved for their hard work and professionalism. Seeking an enthusiastic, reliable female to support the head coach at an after school club. Preferably a Welsh speaker, but not essential. Join an exciting opportunity with a developing Wheelchair basketball club. You’ll be working with adult and junior members at the club, assisting the coaches in delivering the weekly sessions. On Monday 10 September a combination of Team GB and Paralympic GB participated in the Athletes Parade through the main streets in the UK’s capital in order to celebrate and share with all the citizens their achievements at the London 2012 Games in which they have completed their biggest medal haul for over 100 years. A large number of people lined the route to honour the athletes who have been inspiring them during the whole summer. Called Our Greatest Team parade, the procession of athletes which consisted of up to 21 floats, arranged by sport, each carrying around 40 athletes, passed by some of the most iconic buildings in London such as Queen Victoria Street, St Paul’s Cathedral or Trafalgar square amongst others. The event was followed by large crowds but among the multitudes were ten of the Cardiff Host Council Ambassadors. The volunteers made the early start and travelled to London for the spectacle for which they had a great view as they were given prime seats in front of Buckingham Palace to watch and enjoy the parade, celebrating and cheering the Olympic and Paralympic athletes who performed at the Games. The Ambassadors who visited London were Abbi Voyce, Sarah Thorp, Patrick Ware, Sri Ponnuswamy, Gareth Reynolds, Romina Waller, Chris Morris, Rhys Clayton, Samar Wafa, and Thomas Bevan. 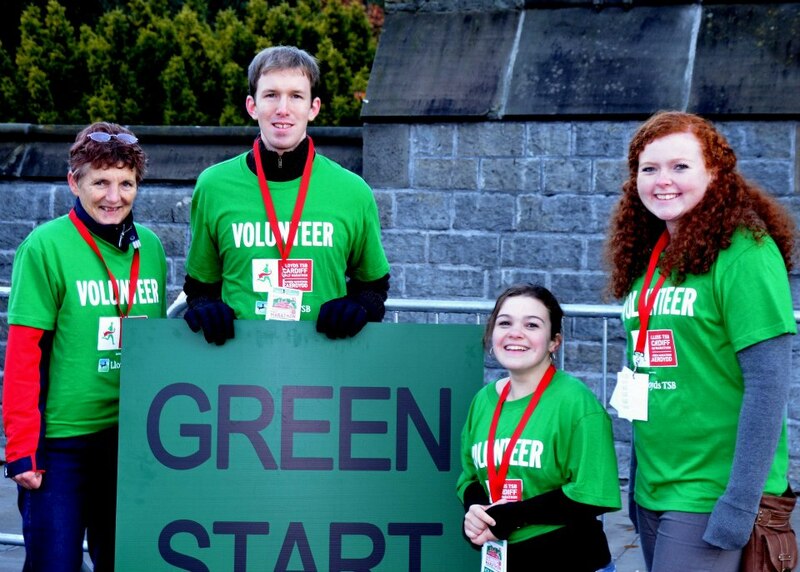 These volunteers supported Cardiff’s involvement with the London 2012 Games in various ways, ranging from assisting spectators on Olympic football match days at the Millennium Stadium to supporting Olympic and Paralympic team’s pre-Games training camps in Cardiff. All of them enjoyed this experience and really appreciated the opportunity that Sport Cardiff gave to them. LOCOG just provided ten positions for each Host Council so they were really lucky as the names of the Ambassadors were selected by draw. We are sure this was an occasion that will undoubtedly live long in their memory specially for Gareth Reynolds who was invited to attend at Number 10 in Downing Street for a tea reception with the Prime Minister, David Cameron. “Of course, there are lots of people to thank: the athletes and the Paralympians who have delighted us and amazed us; the army and the police who’ve done a fantastic job with the security services in terms of keeping us safe; the volunteers, some of whom are standing behind me, who put this incredible smiling face on the Games and delighted the world; and of course all those who were responsible for delivering a safe, secure and, frankly, brilliant, best ever – in my view – Olympics and Paralympics” Prime Minister said. 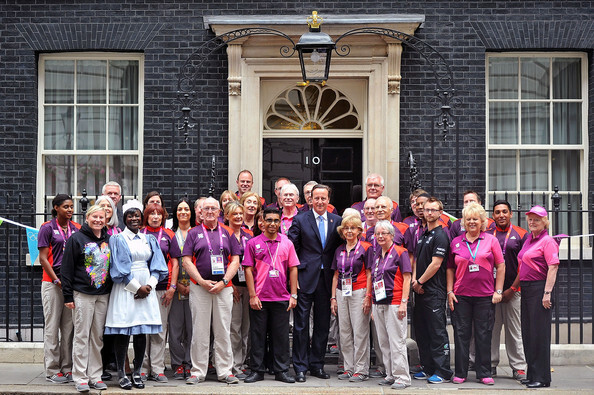 This is the second time that Mr Cameron paid tribute to the volunteers who have been involved at the Olympic and Paralympic Games as on a visit to the Uniform Distribution and Accreditation Centre (UDAC) in London to mark the ‘one month to go’ milestone, the Prime Minister was grateful to the thousands of people playing a vital part towards the success of the Games. None of the Cardiff Host Council Ambassadors signed up to volunteer with any thought of being given such amazing opportunities so it is nice to see them being valued in this way.